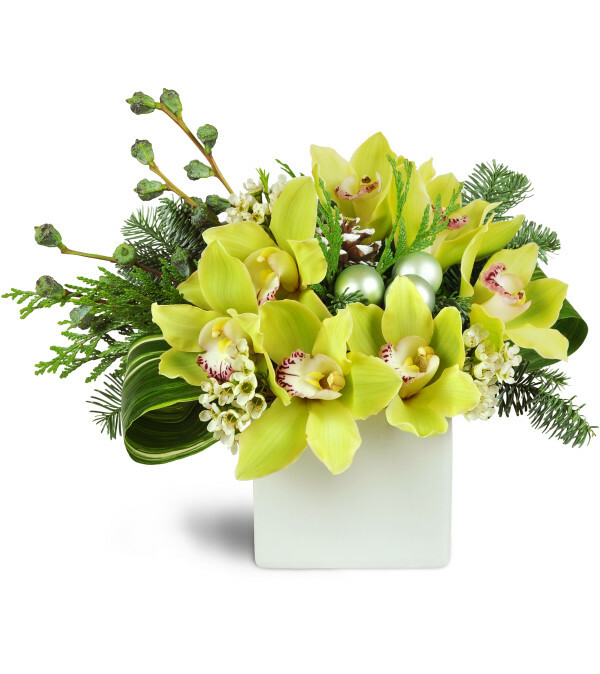 For only the most discerning tastes, this exquisite winter arrangement sparkles with modern holiday romance Whether it's a gift for a very special someone, unforgettable holiday party décor, or perhaps for the winter bride, this gorgeous floral confection features stunning green cymbidium orchids, eucalyptus pods, pine cones and waxflower arranged to perfection in a white ceramic cube vase. Green cymbidium orchid blooms, waxflower, pine, eucalyptus pods, and white-tipped pine cones are exquisitely arranged in a white ceramic cube vase. 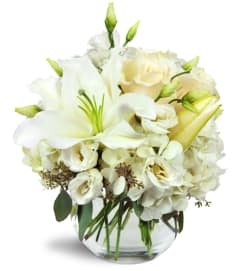 The flowers were delivered timely and were beautiful and fresh! Very satisfied with how easy it was to place my order. My daughter loved her flowers! 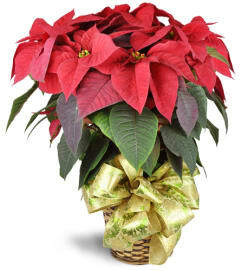 A Plus Flowers and Gifts is a Lovingly Florist in Chicago. Buying local matters. Discover how Lovingly supports local florists. 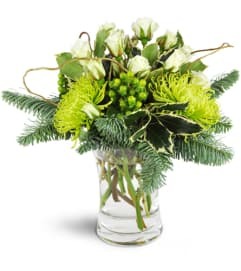 Copyrighted images herein are used with permission by A Plus Flowers and Gifts.